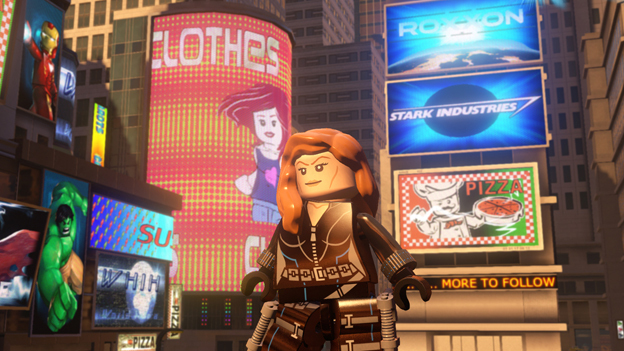 Lego Marvel's Avengers is a game that many of you are going to love to pieces. It has almost everything that a Marvel fanatic could possibly want in a game, and TT Games has proven once again that it really knows how to take an all-star cast of beloved superheroes and give them new life in hilarious and original ways. 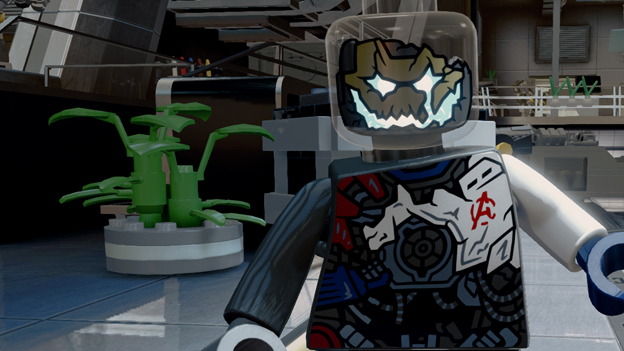 In fact, those of you who played Lego Marvel Super Heroes already know how well the Lego and Marvel worlds can come together, and those of you coming to Avengers after playing Marvel Super Heroes may or may not like what's changed - and what hasn't. 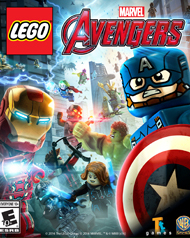 Where Marvel Super Heroes was based off of the Marvel comic universe, which afforded the talented writers at TT Games a much broader creative license, Lego Marvel's Avengers is based off of the Marvel cinematic universe, revolving largely around the events that transpire in the original Avengers and its sequel Age of Ultron. Side and filler story is also supplemented as you play through certain key scenes from the Thor, Iron Man, and Captain America movies as well. While there is certainly no shortage of thrilling material to work with here, I thought it rather a shame that the majority of the dialogue and voice acting was ripped straight from the movies. Many of the voice clips and audio in the cutscenes conflict with the game's otherwise lighthearted presentation. You'll find yourself laughing out loud nonetheless as characters reenact grave scenes and regurgitate familiar lines in hysterical and unfamiliar ways. Each hero and heroine has also been caricatured in his or her particular animations and mannerisms: Hawkeye's dexterity and agility are exaggerated as he dashes and somersaults though a hallway while two lackeys walk plainly behind, perplexed. I almost spit out a mouthful of tea when it cut to a shot of him planted in front of a door, bow fully drawn as he took aim at the lock with a key at the tip of an arrow; he couldn't just insert a key and turn it by hand. Likewise, Black Widow can't simply walk without seductively swaying her hips from side to side. I found myself standing still with each new character I unlocked just to see their idle animations. I'm pleased to say that almost every single hero is just as unique in combat as well. This is a Lego game so you're mainly going to be bashing the one, main attack button through most engagements, but all the characters have their own combos, their own powers, and their own special abilities that come in handy when exploring new areas or revisiting old ones. Iron Man, Thor, S.H.I.E.L.D. Agents... literally every single superhero or playable character has the moves or powers that you'd hope they would, and you can pull them off with ease. This makes combat an absolute pleasure, especially with the addition of new team-up attacks: you can sometimes trigger these devastating, area-of-effect attacks when both playable heroes are near each other, and they're all amazing. Any two characters can perform a unique team-up attack, and there are a ton of characters (over 100 new heroes never before seen in a Lego Marvel game are here to unlock). When things are moving briskly and you're being whisked from one epic battle to another, or from a QTE (quick time event) to an explosive action sequence, you never want the fun to end. It's during those times that this really does feel like a great game. Unfortunately those times tend to be rare, as the pacing throughout this game is terribly inconsistent. Things get slowed way down, way too often. Most of the time it's because the game forces you to use this damned sensing ability that stops everything happening (usually right at a climactic moment) to stare at a scanning grid. You'll look for ripples in the grid in about 3 or 4 places, move your cursor to those spots, press a button, and something will be revealed in the area that will allow you to escape / unlock / power up / move on to the next area. A little patience pays off in a big way, though, and if you ever get tired of the main story trek you can always play around in free mode. In free mode you can revisit stages and parts of the story that you've already beaten with any of the heroes that you've unlocked. This is a lot of fun, and it's actually necessary if you want to collect all of the hidden items that are often stashed behind obstacles that require specific powers or abilities to bypass. As you unlock more heroes, this game will become more about your time spent exploring in free mode and around Manhattan.